First of all, I think you did an absolutely phenomenal job of mentioning your past post on reputation management and then using KLM and JetBlue as examples. I think this really helps tie everything in together so we can see the bigger picture. I think your approach to the second comment about the news station was excellent. One main concern the viewer had was having equal coverage for the two sides and the fact that the situation doesn’t make him very happy in general. So, I think you addressed it beautifully by saying that coverage on the Middle East is indeed challenging because of the emotions that it draws out. This is going to allow the commenter to feel like he is not the only person who feels that way which can possibly be a comfort to know–and also that you are aware of how touchy a subject it can be. You pose an interesting question about our approach to Facebook and message boards. I do believe we need to moderate them slightly differently because of the fact that with a message board, your post is searchable. This means that at any time, someone can comment on an old post and bring attention to that matter all over again. 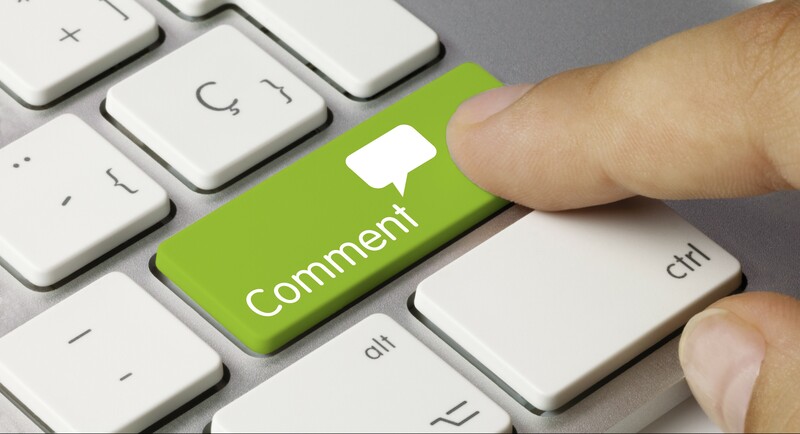 Where as Facebook, comments tend to get buried underneath others and new posts. So I personally because that your message forum cause pose more of a threat if there is a bad comment left that should have been deleted. Thanks, Megan! I appreciate the feedback! I think moderating comments is such a delicate topic. We are all just trying to do our best to elevate our brand — not matter what the comment is about. We can obviously elevate our brand in response to positive comments, but it’s the negative ones where it gets tricky. As moderators, it’s essential that we remember it is possible to turn a negative into a positive — even if it’s not the original poster you’re really impacting, but the other readers. Thanks for commenting! Hi AnnMarie! Let me start by saying I absolutely love that you mentioned signing the restaurant post with initials to build trust. There is no better feeling than knowing you’ve received a response, except knowing that there is a real person behind that response and they truly care. When brands started doing this, I was initially confused, until one day, I received a response with a signature like that. I immediately felt a connection to the person who is essentially speaking on behalf of the brand. I do find it intriguing that you choose not to apologize though. While you don’t necessarily know all the facts, this customer is likely just looking for an apology. I feel I would probably apologize even without additional facts to build the customer back up a bit. I love taking the conversation offline! It shows you care enough to have a personal conversation with the customer, but you would prefer not to air dirty laundry in a public forum. Not every customer is going to be happy about it, but I would much prefer to discuss a complaint offline than on. As far as profanity goes in the second comment, much like you, I don’t tolerate it. At the organization I work for, it would immediately be removed; however a major network news station likely receives that type of profanity all the time (along with the negative posts). Like you recommended, they would most likely keep the comment rather than moderating for deletion. Great post, AnnMarie! I really enjoyed your list formatting of how to respond! Hi, Kayla! Thank you so much for your feedback! I like how you brought up the desire to apologize to a customer to help affirm their feelings in the situation. In that sense, if I felt the need to do that more, I would say something like “I’m sorry you had a bad experience,” which is true for that customer regardless of what the facts actually are. Or, depending on the situation, you could always affirm them without directly acknowledging what they’re saying as factual with, “I’m so sorry you feel that way,” or something similar. I know it’s hard not to apologize because we are just so trained to do so, but it’s something I feel strongly about in moderation. Unless we know something is wrong, I feel like apologizing directly is an admission of guilt that I would do my best not to do. Thanks for commenting! Another great post! Thank you so much for your thoughts and perspective. I loved how you tied back your assessment from previous readings and couldn’t agree more with your reputation post. Your reputation management posted was a great way to list of key components to a social media crisis plan because many of those points are also relevant when moderating comments. Nice job building on what you’ve learned from the previous readings. I’d have to say learn from what your competition is doing and try to do it better isn’t just limited to social media – but industry as a whole (I’m sure you already know that though). I agree with you – simply responding in the face of no hope still helps show to other users that you’re responsive, helpful and tried to make a bad situation better. I really liked how you walked us through your thought process as to why you said / did certain things with your responses. I like the personal touch you added and showed that you listened, you owned it and you wanted to do better. Interesting take on the second response. I appreciate that you kept the block and that you used kindness to help soothe the frustrated individual. For my scenario, I decided to remove the blog post, because you I can’t stand profanity and thought the user could make the same point without it. I wanted to give the user a chance to understand the terms and conditions, as well as know their views are important to the debate and discussion. I offered additional timed teleconferences so they and any additional listeners could call in and ask questions to a panel of experts. It’s interesting to see the choices made when it comes to removing/keeping the blog. What would make you remove it? You pose a great question on changing moderation with different media platforms. I believe you do and use Facebook/LinkedIn as examples based on the settings in each. Both have their audiences, but I think Facebook is more open/needed for moderation verses LinkedIn. What about you? What do you think? Thanks again for your post and your well–thought out ideas. Hi, Frank! I always love hearing your feedback! To answer your question, I would have removed the second comment if it was threatening, abusive, or involved any sort of hate speech like racism. Those cannot be tolerated, in my opinion, even on such a people’s platform like Facebook. Allowing a comment containing those things would only invite others to respond similarly, not to mention the ugliness involved in a comment that would contain them. I wouldn’t want that on my wall/in my comments as a reflection of my brand’s customers. I agree with you that LinkedIn has amore professional audience, in general, and much less moderation is needed as a result. Facebook still is a platform for the masses, so to speak, and yo never know what you’re going to get. The good news is with a plan in place, we are able to handle situations like the examples given in a productive way that shows we are listening and that we care. That’s what users want when they’re posting such comments; they want to know that what they say and experience matters. I also like that you gently addressed the fairness of the coverage in your response to the second user but still thanked them for their feedback. I too would not have deleted that response. I myself use profanity when I’m angry and frustrated so I can’t imagine “punishing” others for doing the same. Perhaps if they were calling people or employees names I would consider it, but in this case, it was merely just a form of expression. We receive a lot of edited profanity on Yelp (you know, stars and such), and those almost always stay just because we try to put ourselves in the customers’ shoes. Would I be angry if ____? If the answer is yes, we try to be as understanding as possible, profanity or no. Hi, Nhi! Thanks for commenting! You can absolutely use the phrase! I agree that looking at a comment from the perspective of, “Who would I feel if…” is a good rule of thumb. I like and appreciate that you don’t remove comments with profanity for your brand for expressing anger or frustration. Acknowledging that frustration is what the customers want, after all, so they’d be pretty annoyed if you, essentially, dismissed it by deleting their comment. Good for you for being an industry leader being copied by your competition! I’m not surprised! Keep up the excellent work! You did a really great job explaining the value of showing both the positive and negatives. I mentioned something similar in that when you post a response to a review online you are not only responding to that guest, but to the hundreds of potential guests out there that are sifting through reviews trying to get a feel for your business. Seeing a management response always helps your chances of gaining new customers. I too agree with not deleting the comments due to profanity as it was the user expressing his opinion in a non threatening manner. I think that Facebook and social media sites are equivalent and the sites aren’t different from your own pesonal blog or website discussion boards. Hi, Samantha! Thanks for commenting! I always look at moderation through the lens of not just seeing how the original poster would react to the response, but also the greater community. That’s what social media is about, after all; we are creating online communities. We need to keep the entire community in mind when moderating — not just the original poster. If we make one person happy, but anger the rest, have we really done our job well?